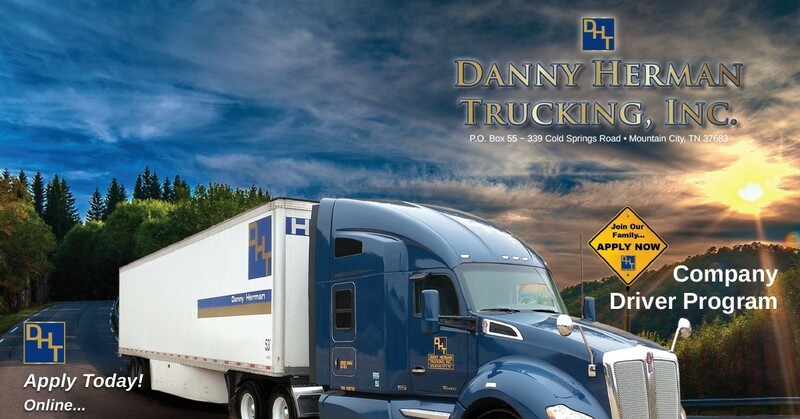 Trucking Companies Danny Herman Trucking Inc.
Truck Driving Jobs at Danny Herman Trucking Inc.
We are looking for qualified, experienced Company Drivers in the Hopkinsville, KY area! We know that becoming a DHT Company Driver is right for you! Now Hiring CDL A Drivers in the Jackson, TN area! Training programs available! GREAT Referral Program! Now Hiring CDL A Owner Operator Drivers in the Evansville, IN area! GREAT Referral Program! Now Hiring CDL A Owner Operator Drivers in the Mobile, AL area! Now Hiring CDL A Drivers in the Athens, GA area! Training programs available! GREAT Referral Program! Now Hiring CDL A Drivers in the San Francisco, CA area! GREAT Referral Program! Now Hiring CDL A Owner Operator Drivers in the North Carolina area! Now Hiring CDL A Drivers in the Long Beach, CA area! Training programs available! Now Hiring CDL A Owner Operator Drivers in the Oklahoma area! We are looking for qualified, experienced Company Drivers in the Georgia area! We know that becoming a DHT Company Driver is right for you! • Founded in 1964 by Danny Herman with one power unit. • DHT is an I.C.C. common carrier serving the US and Mexico. • We are service-oriented, specializing in truckload shipments. • DHT has been active in dealing with single-source and time-sensitive material for over fifty (50) years. We utilize central dispatch, team driver concept, and utilize satellite communications systems units in all of our trucks, and state-of-the-art tracking systems on all our trailers. Our current fleet size is over 400 trucks.